Biography | Thomas E. Terrell Jr.
Tom Terrell has handled land use, zoning and environmental matters in more than 250 counties and municipalities throughout the State of North Carolina and in parts of Virginia and South Carolina, representing a variety of difficult-to-permit industries and several local governments. His environmental practice includes the regulation of surface waters and the regulation of solid waste (landfills, waste hauling and recycling). He also has represented numerous clients in the telecommunications, solar, renewable energy, aggregates and retail industries needing site approvals. Numerous city and county governments have retained Tom as litigation counsel. He serves as general counsel to the Piedmont Authority for Regional Transportation and speaks regularly to industry, trade, governmental and attorney groups on evolving land use and environmental regulations affecting the development of land. Tom chaired the North Carolina Bar Association drafting committee that rewrote the statute governing boards of adjustment, and he currently chairs the North Carolina Bar Association committee that is preparing a comprehensive reorganization of North Carolina's zoning and land use statutes. Commercial, industrial and residential developers in municipalities and counties in every region of North Carolina rely on Tom to represent them in all phases of the permitting and entitlement processes, including representations in the pre-zoning stages and before all local boards. He has also counseled clients on matters related to local ordinance interpretation, vested rights, general incentives and statutory and constitutional limitations on governmental exactions. Tom has represented both private parties and local governments in state and federal courts on matters related to land use/zoning denials, real estate contract disputes, developer partnership matters and various torts related to land and real estate. Tom has negotiated several complex development agreements on behalf of both local governments and private developers, seeking to carefully define the long-term relationship between the developer and the government(s) involved so that matters related to utility and road construction, entitlements, dedications and land use allowances and restrictions are carefully articulated and practically interpreted. Both private companies and local governments count on Tom to represent them in matters related to franchises, local approval and state permitting for over 30 MSW, C&D and LCID landfills or transfer stations. Tom has represented three cellular carriers and three tower construction companies in the local approval of cellular tower sites across the state as well as in Virginia and South Carolina. 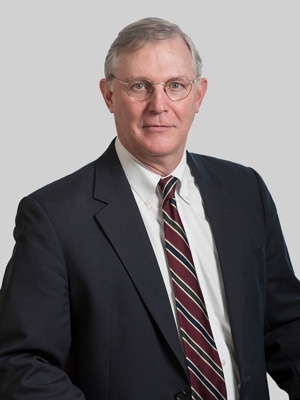 Tom was a partner at Smith Moore Leatherwood LLP, which merged with Fox Rothschild in 2018. Tom regularly offers legal updates and commentary at http://www.nclegallandscapes.com/.